The 18-hole Bookcliff Country Club in Grand Junction, CO is a private golf course that opened in 1958. Designed by Henry Hughes, Bookcliff Country Club measures 6632 yards from the longest tees and has a slope rating of 120 and a 70.5 USGA rating. The course features 4 sets of tees for different skill levels. 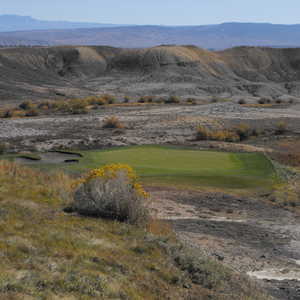 The 18-hole Chipeta Golf Course in Grand Junction, CO is a public golf course that opened in 1997. Designed by Wilson Golf Group, Chipeta Golf Course measures 3835 yards from the longest tees and has a slope rating of 87 and a 58. Surrounded by the Colorado National Monument, Grand Mesa, and Book Cliffs the Golf Club at Redlands Mesa features dramatic elevation changes that offer spectacular views. The layout incorporates the large rock outcroppings and natural water features that cover the scenic desert landscape. 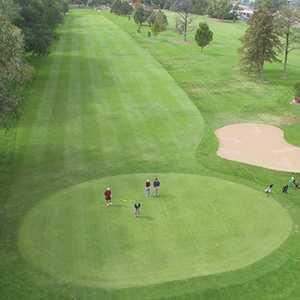 The 9-hole Lincoln Park Golf Course in Grand Junction, CO is a public golf course that opened in 1922. Lincoln Park Golf Course measures 3135 yards from the longest tees and has a slope rating of 118 and a 34.45 USGA rating. The course features 2 sets of tees for different skill levels. 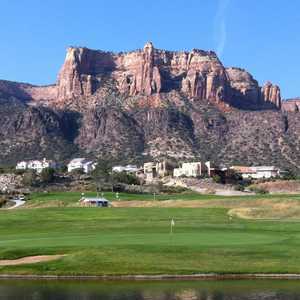 The 18-hole Tiara Rado Golf Course in Grand Junction, CO is a public golf course that opened in 1972. Designed by Tom Kolacny, Tiara Rado Golf Course measures 6442 yards from the longest tees and has a slope rating of 127 and a 70.